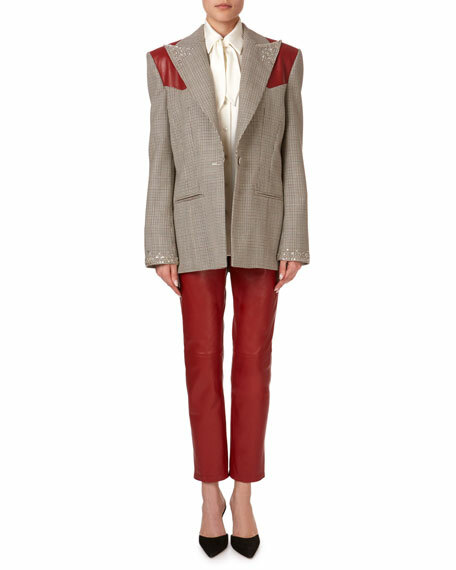 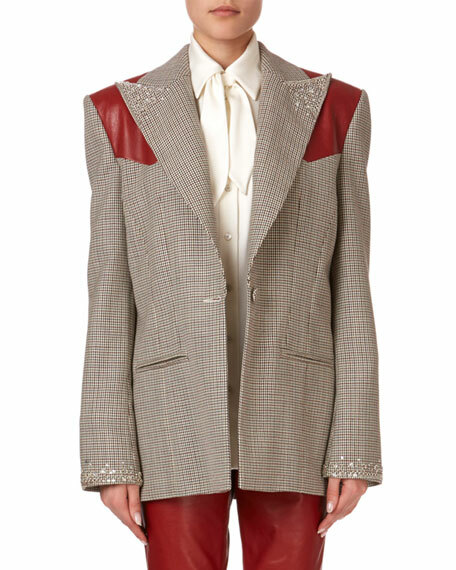 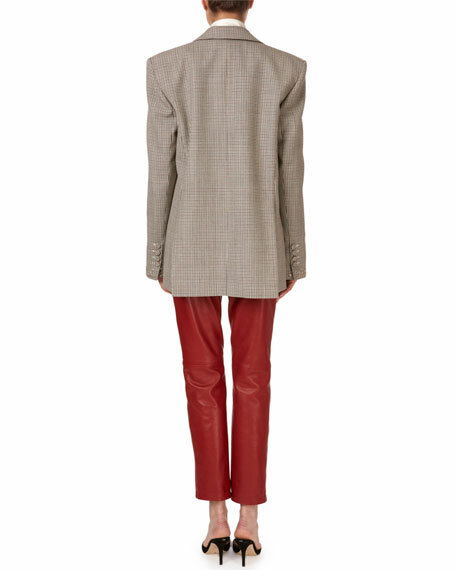 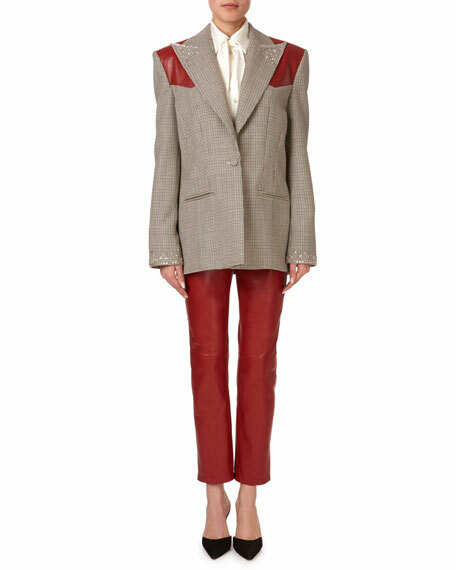 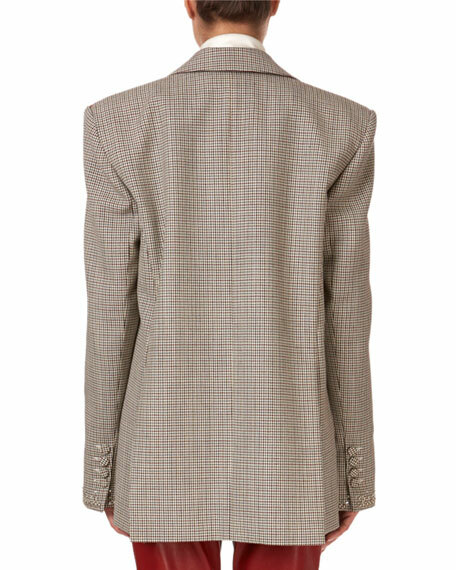 Magda Butrym "Arkansas" blazer in plaid with beaded accents and lamb leather shoulders. 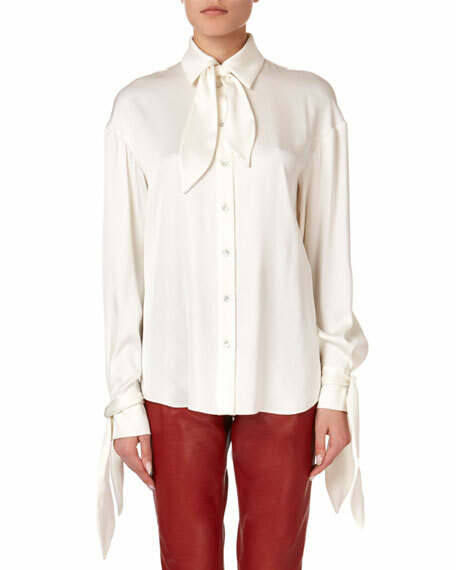 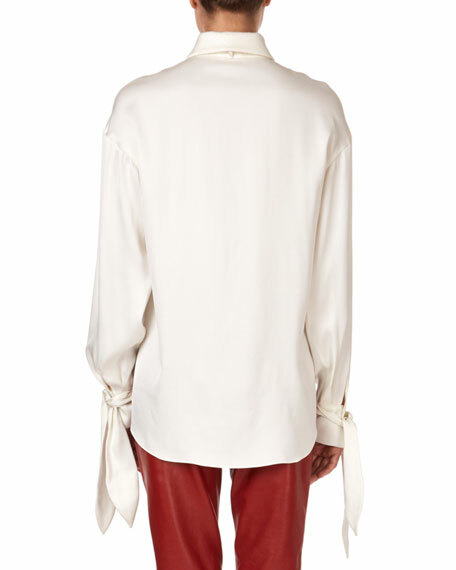 Magda Butrym "Queens" blouse in silk. 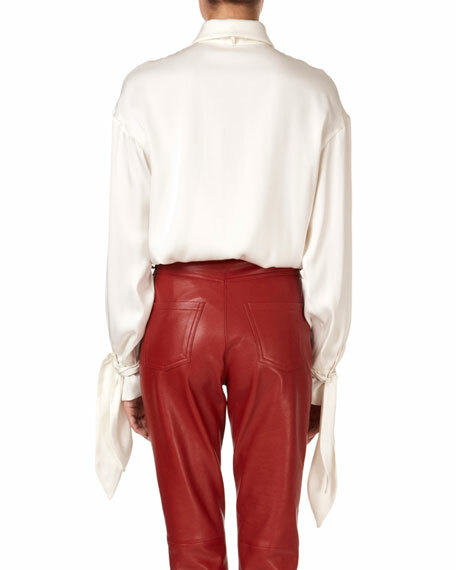 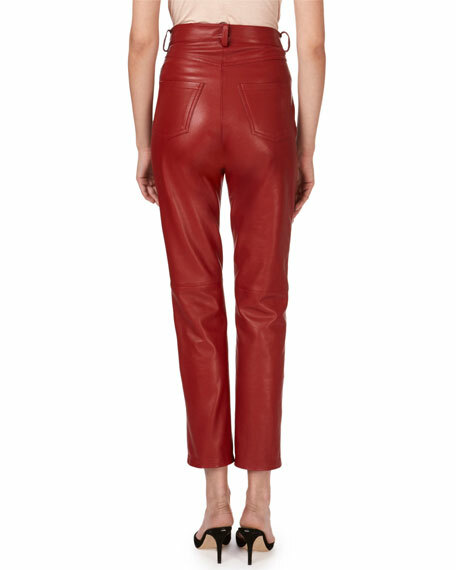 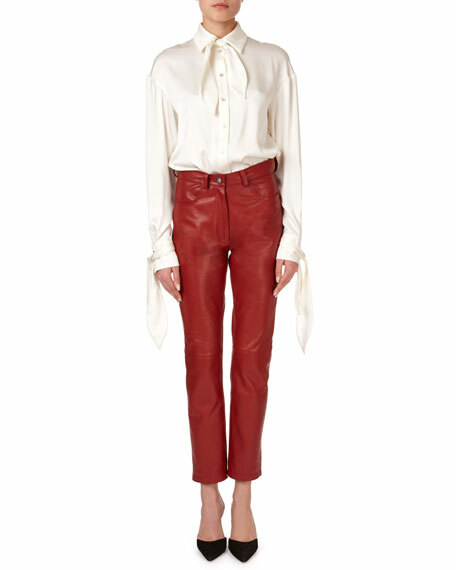 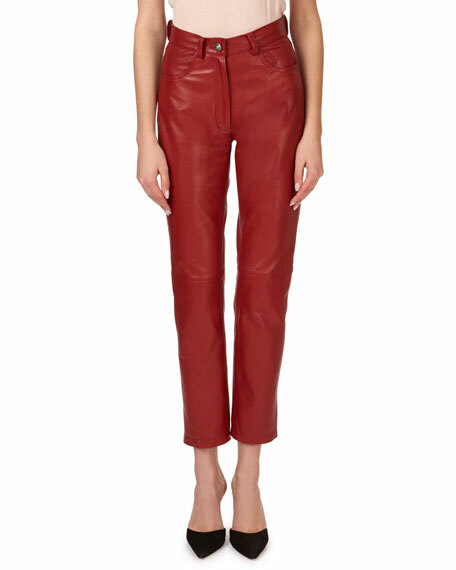 Magda Butrym "Evansville" jeans-style pants in natural sheepskin leather.